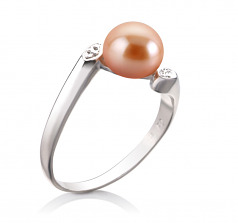 Elegant and Chic, this Pink Freshwater Pearl and Sterling Silver Ring shows the classic side of being trendy in the young pearl world. 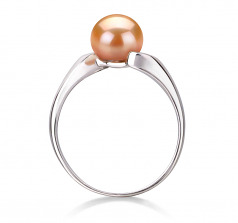 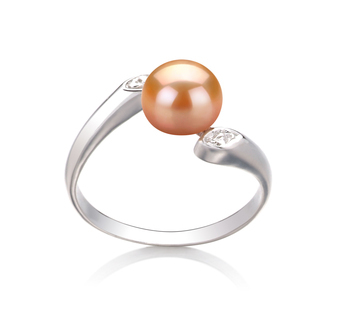 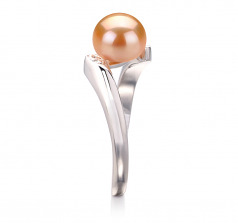 The Classic Pink Pearl is combined with an interesting .925 Sterling Silver ring that features a half twist design. 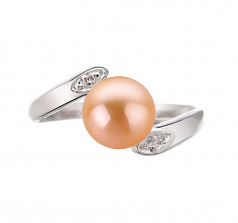 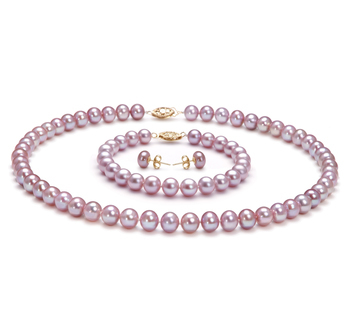 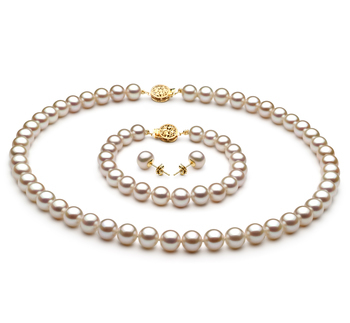 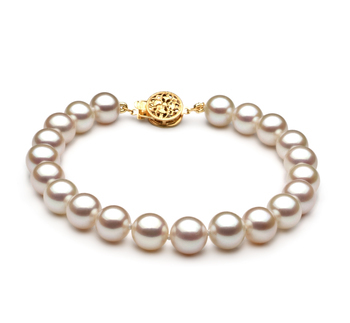 The perfectly sized 6-7mm Pink Pearl sits graciously between the peak of the half twist and showcases the elegant petite engravings designed to mimic accent diamonds. 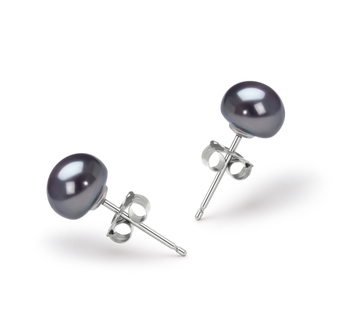 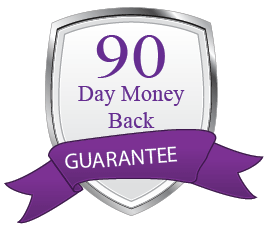 The AAA near perfect round Button shape combined with the mirror like lustre, body and overall grade compliment the sparkling glow of the lustre and .925 sterling silver accents. 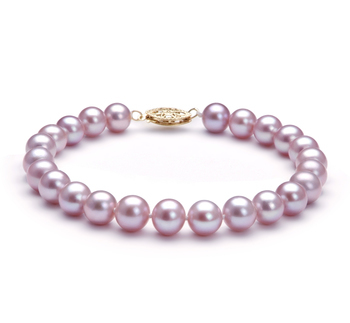 The delicate combination creates a masterpiece that is stylish, chic and trendy.